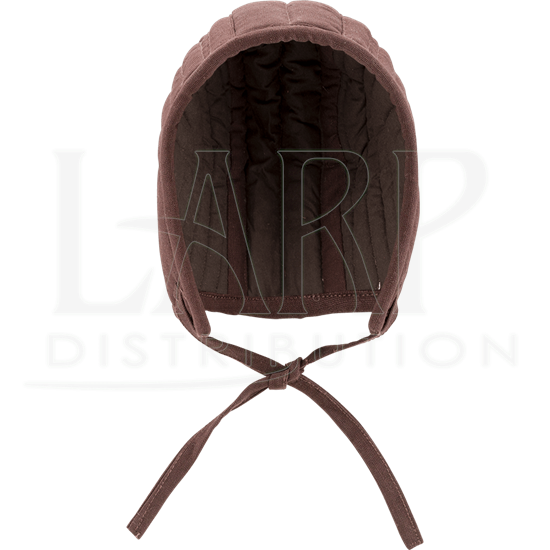 Add comfort and protection to your medieval, Renaissance, or fantasy outfit using the Quilted Arming Cap in Brown. This historical padded cap covers the top and back of the head and is secured by tying its cords underneath the chin. An essential for any helmet-wearer, this padded arming hat can also be worn on its own for light protection, warmth, and extra detail. 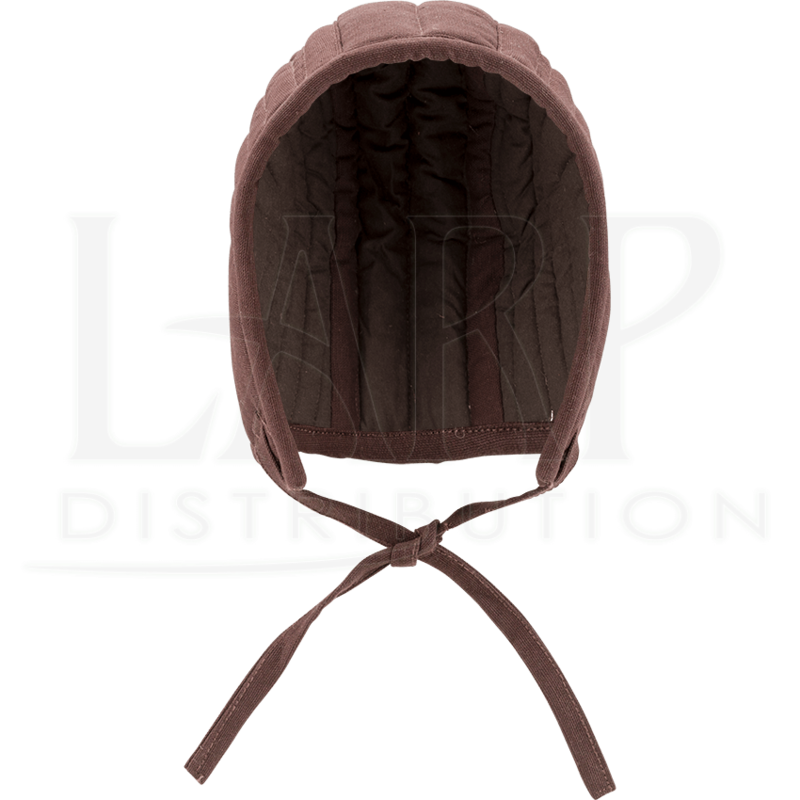 The brown outer fabric is a strong cotton canvas, and it covers a wool felt filling that protects the head while in armour. Whether getting dressed for LARP, reenactment, a Renaissance faire, or another costumed occasion, you cannot go wrong adding a medieval arming cap like this to your outfit.